In our Multilingualism in my family series this week Luisa tells her amazing story. 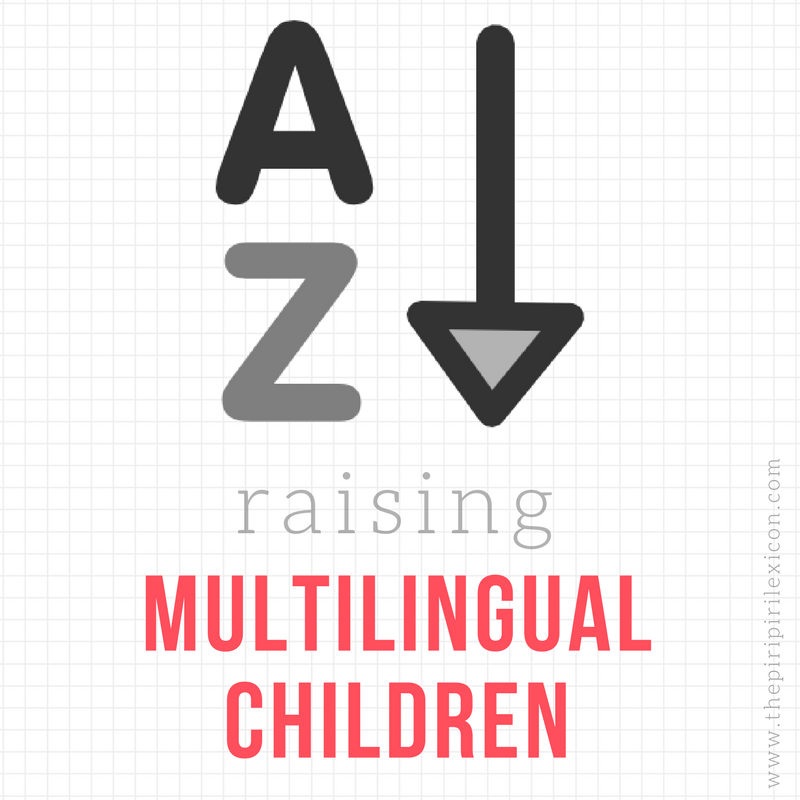 She is raising multilingual children (currently in the Philippines having recently moved from the USA). OPOL when Daddy is around – he speaks English to them, I speak Filipino. But when he’s not around, I speak both languages. The nannies speak only Filipino. Immersion in the target language/s works best for us. Once the kids achieve literacy in Filipino this year, our plan is to go to China or Taiwan so they can also immerse in their third language which is Mandarin. Mandarin is a difficult language to learn so having them fully immersed at an early age will be beneficial. For now, they are tutored in Mandarin by a Chinese native speaker and they are learning a lot! So far, our current method is working with much success. We are in the Philippines for 5 months and both kids are speaking and understanding Filipino. My 5 year old is writing, reading well and having good comprehension of the language. Back in the States, I would have started early and be more consistent. It was difficult to use OPOL when they know I can also speak English. I also would have stayed a year to strengthen their Spanish (they attended Spanish Immersion preschool) because it’s now difficult to introduce Spanish in the mix. But then, we introduced Mandarin so it’s a trade-off, I guess. We will revisit Spanish again in few years when it’s time to do immersion in that language. Multilingualism is going to be a long journey, but with immersion we feel that we can get results quicker and sustain it. We wouldn’t have achieved this fluency had we stayed in the States because it is difficult when you’re the only one speaking the minority language at home. But sometimes, my children still ask why they have to speak Filipino (or Mandarin) when I can understand English and their Filipino cousins speak only English to their parents. Thank you very much to Luisa for answering my questions.